GPS is the school that all of my teacher friends and I would have made if we could! I knew the minute I walked in with my son that GPS was the school for our family! 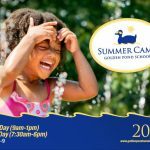 Summer Camp registration begins February 1st! Golden Pond School is a very special place where teaching young children is treated as a vocation and a privilege. This is not a daycare - it is a school and a community. Teachers are committed, hardworking, caring, and knowledgeable. Facilities and amenities are well stocked and well maintained. I can't overstate what a positive and warm environment it is. A high standard of community-centric behavior is set by the teachers and administration, absorbed and adopted by the students, and even impacts the welcoming parents' group. 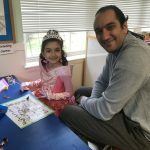 Our family feels so lucky to have our child enrolled at Golden Pond; we have seen her flourish in everything from cognitive skills to emotional intelligence to table manners. This is our 5th year with the school, and I can’t say enough great things about Golden Pond. The staff are knowledgeable, compassionate and embrace their professions and it shows with how well they execute their mission. They consistently provide a positive learning environment filled with love and nurturing. I am always amazed at how natural they are at maximizing each child’s potential through consistent positive reinforcement. We have seen each of our children grow and thrive almost immediately upon entering into each program. The school is very successful at ensuring each child is engaged and challenged at the appropriate level. My kids beam with pride as they practice concepts of observation and problem solving and imagination and creativity that they have absorbed at school. The teachers have mastered taking difficult concepts and immerse the children in a fun, interactive way of learning-the kids themselves don’t even realize that they are doing such difficult things such as reading, writing, addition and subtraction. We feel confident that the Golden Pond way is setting our children up for success through solid foundation building! As a Loudoun County Public School Teacher, I would say Golden Pond School (GPS) is the best! There is a big difference in the children that come from GPS. The students are very prepared, often ahead of the other children and are well-rounded. They are exposed to a lot of different experiences that other children are not, and their knowledge about Science and Social Studies is impressive! GPS children come to Elementary School reading, writing and knowing many sight words. A mother I know recently told me that it is worth every penny. I don't know what the magic formula is at Golden Pond School, but it works! I currently have 3 students now from GPS and they are all above average students. A great place to grow and start learning! Amazing teachers and great curriculum! Simply the best choice in the area. As an educator, I can’t recommend this school enough. Our daughter has thrived at Golden Pond both in her morning class and in the Stay & Play program. 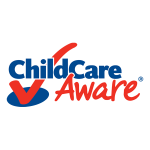 As a two-working parent household, we struggled to find quality, educational full-day care for our child. Until we found Golden Pond School. Our daughter loves school, and that is the greatest gift any parent can ask for! 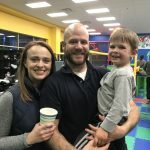 "I cannot imagine a better place for my children to be spending their formative first years then attending Golden Pond School. It is a great feeling to hear your child say "I LOVE school!". My children light up when they tell me about their Art, Music and Spanish lessons. 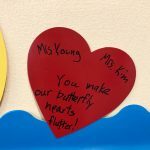 What really stands out to me when I am in the school is how energetic, enthusiastic, and happy the teachers and staff are. I highly recommend Golden Pond School to anyone. It is the best investment we have made in our children." My kids have been going to Golden Pond School for four years. My youngest will start four year old preschool in September, and we couldn't be happier. My kids have attended preschool, KE, and as many summer camps as possible. We love the teachers, the staff, and the community we've found. The kids learn so fast in school, and more importantly they have the emotional support to really succeed. I highly recommend Golden Pond! As a former teacher, I recognize how important it is for a teacher to see each child as an individual learner with different strengths and challenges. I love how GPS tunes in to each child and makes their learning experience rewarding and relevant to them. It allowed our daughter to grow in her own love of learning and gave her such pride in her accomplishments ... I immediately loved how GPS approached learning new things from so many different perspectives. A child learns faster and retains information longer if they experience it, rather than just hear it. Golden Pond takes this to new levels. Learning is hands on. They build, experiment, touch, taste and create. Our daughter still points out levers and pulleys and inclined planes from when she got to build them and test them out 3 years ago! She has carried this over to Elementary School and has an academic confidence that came from being given the opportunity to learn on so many different levels. Golden Pond is the best school in the universe that I've ever seen. I will miss Golden Pond so much, but I get to come for Summer Camp :) Thank you for making a huge and fun playground for me and my friends in Room 7. I wish I could come to Golden Pond from first grade to twelfth grade too. I will miss you!